Volkswagen is one of the biggest car brands in the world. Did you know that Volkswagen does just not own the Volkswagen cars? Check this out it’s actually really amazing how large the company really is. 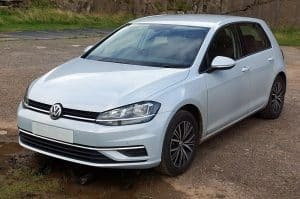 According to Volkswagen official website they currently own 12 brands – Volkswagen, Seat, Audi, Skoda, Bugatti, Bentley, Lamborghini, Ducati, Porsche, Scania, MAN, and Volkswagen commercial vehicles. Audi becomes a part of Volkswagen in 1965. The car brand was under the Auto Union GmbH am arm of Daimler since the end of WWII. Audi was founded in 1909 and set standards of offering premium vehicles. In the UK the carmakers sell over 65 models. The carmaker is synonymous with producing the fastest car in the world. Bugatti was founded in 1909 and become a part of the Volkswagen group in 1998. Full ownership of the carmaker was concluded in 2000 and later Volkswagen took over the Ettore Bugatti guesthouse and turned it into their headquarters. Bentley has been producing luxurious cars since 1919. It formed a partnership with Volkswagen in 1998. In 1997, Bentley offered its Rolls Royce model up for sale and BMW bid for it. Volkswagen out bid BMW and got most of the rights to the carmaker with the exception of the Rolls Royce name and logo. Full ownership of Bentley was concluded in 2003 and Volkswagen started supplying cars under the Bentley name. Ferruccio Lamborghini founded the Italian company in 1963. He started it to offer competition to Ferrari. In the first year of production, the company grew rapidly, mostly due to its rear wheel drive Miura sports coupe. After the worldwide financial shutdown in 1973, the company started experiencing difficulties and even filed for bankruptcy in 1978. By 1987 it had changed ownership several times before Chrysler took ownership. Volkswagen later took over the company in 1998 and placed under Audi management. Since then the unit has been producing a powerful V12 sports car. Ferdinand Porsche founded the company in 1931. Initially, the company did not manufacture cars and the first production car debuted in 1939. It used many components from the VW beetle. During the WWII Porsche was involved in the manufacture of military tanks. The popular Porsche 911 was released in 1989 and was the first four-wheel drive car to have a Tiptronic transmission. The Cayenne was released in 2002 in their new manufacturing centre at Leipzig, Saxony. The relationship between Porsche and Volkswagen has been a long one with the founder having influenced the designs of the popular Volkswagen Beetle. In August 2009 the two companies management decided to merge the two entities. By the end of 2015, Volkswagen held a majority shareholding in Porsche. Volkswagen journey for control of SEAT begun in the 1980s through various management partnerships. By 1986 Volkswagen had increased its stake to over 51 per cent making it the majority stock holder in SEAT. The stake was later increased to 75% and by 1990 Volkswagen owned the entire equity stake of SEAT. The Spanish manufacturer was founded in 1950 and has over 24 models in the UK. It employs more than 15 thousand people. SKODA is a Czech car manufacturing company that was started in 1985 by Laurin and Klement. It was briefly state-owned in 1925 and then later privatized in 1991. The automaker sells cars in over 100 countries. Volkswagen started showing an interest in the company in 1991 by purchasing a 30 per cent stake. This was later increased to 60.3% in 1994 and 70% in 1995. Finally, as the century come to a close Volkswagen made the decision to acquire all equity shares and make SKODA a fully owned Volkswagen subsidiary. After this, the car markers market share has been on a gradual rise. Ducati is a motorcycle manufacturing company whose headquarters are in Bologna, Italy. Antonio Cavalieri started the company with his three sons in 1926. Initially, they started with the production of condensers, vacuum tubes and radio components. The company survived the effects of world war 2. Volkswagen showed an interest in taking over the company in April 2012 when its Audi subsidiary announced that it would be buying the company for 1.2 billion dollars. The company is well known for its four-stroke motorcycles that are high performance. They have dominated the motorcycle industry for decades. The automobile maker traces its roots in 1758 when St. Antony produced ironworks. It later merged with New forges and Good Hope to form Oberhausen. The GHH grew and even survived the WWII but the allies opted to split GHH group. During this time the company ceased mining of iron and steel. Acquisition of Bussing helped the company to focus on commercial vehicles. The 1982 oil crisis pushed the company to a financial crisis. MAN headquarters were transferred to Munich from Oberhausen in 1986. A 50-50 partnership was established with Force Motors and this helped introduce their trucks into India. Volkswagen took an interest in the company in 2011 by purchasing a 55.9% stake which was increased to 73% in 2012. SCANIA speciality is commercial vehicles – trucks and buses. The company started its journey in 1911 in the province of Scania, Sweden. The company has production bases in over 10 African countries and many across Europe and Asia. The company is also listed in the NASDAQ in the USA. The company’s logo consists of the coat of arms of Scania and a griffin. The merger of SCANIA and Saab AB led to the creation of Saab-Scania AB. Later in 1995, it was split into the truck and bus divisions. In 1999, there was an attempt by Volvo to take up the company but the European Union stifled it. In 2000, Volkswagen took over the rejected Volvo shares – 36.4 % and in 2008 it increased its stake to 70.93%. By 2015, Volkswagen took complete control of Scania pushing its shareholding to 100%. Volkswagen has grown through a series of merger and acquisitions to the point where they own 12 top car brands. The company overtook Toyota as the largest automobile maker in 2017 and become ranked 7th in the Fortune Global 500 list 2018. The company has been listed in several stock exchanges in the world and has manufacturing assemblies in many countries across Africa, Europe, Asia and America.